UKSaabs • View topic - Cool cars that were being made the year you were born. Cool cars that were being made the year you were born. 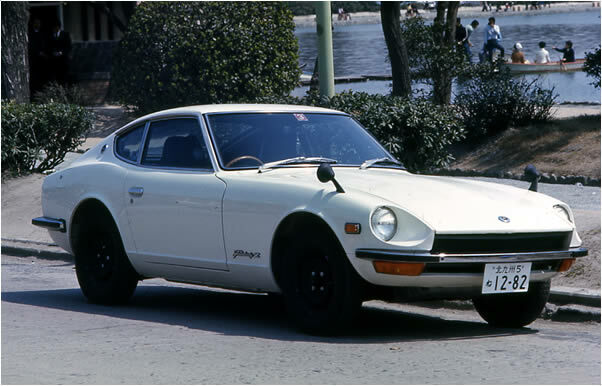 Post subject: Re: Cool cars that were being made the year you were born. The back and sides do look a bit Delorean. Build in Canada using taxpayers money, I can't remember who much the Canadian government lost, not unlike what John Z Delorean did in Northern Ireland. I know they don't normally look quite like that one. Not exactly a looker though is it? Did it share any parts from the Delorean....apart from the doors. It shared no parts with the Delorean, it was built a couple of years earlier in the mid 70s. The only thing the two cars have in common are the styling of the gullwing doors, however the Bricklin (I think) used electric motors to power the doors where as Delorean used cryogenically treated torsion bars and hydraulic struts. 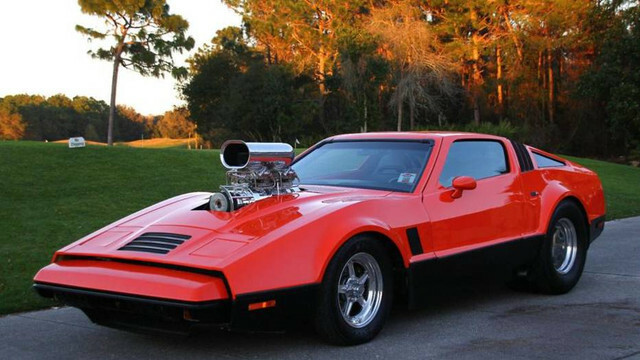 The Bricklin was made from color-impregnated acrylic resin bonded to fiberglass and used a couple of different US sourced V8 engine mounted in the front. The DMC 12 is a completely different beast using a Lotus Esprit style backbone chassis with a fibreglass tub and finished with bolt on stainless steel panels, it used a PRV V6 mounted in the back. Deloreans are so slow but they have developed a Twin Turbo conversion? There's that place on Wheeler Dealers that know all about them isn't there. I think the performance would be acceptable once you've removed all the US federal smog bits such as the cat etc. There where some prototype turbo versions built, apparently they where one of the fastest cars of their day ! I believe there are also a few with V8 conversions. I think DeLorean was trying for the Lotus thing of moderately powered with good handling. But he forgot to "add lightness" as Colin Chapman would have put it, which ruined the power to weight ratio and the handling. "This car running under 12 lbs of boost can do 0-60 mph in 5.8 seconds, and a 1/4 mile in 14.7 seconds. It is impressive for a car today to produce those kinds of numbers, let alone a DeLorean back in 1982! That's quick and low boost. Them intercoolers look good too. Saab 9000 was introduced the year I was born. A few have been done with Lotus V8s and LS3s. Very true what you say about "adding lightness", I read somewhere that the difference in weight between an Esprit and a Delorean is the weight of the stainless steel panels. And that's just the British ones! It was a vintage year! But also the DB2/4, Bristol 403 and Corvette C1, so it isn't completely desperate. 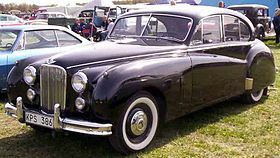 The DB2 was introduced in 1950, and production stopped in 1953. Perhaps you were thinking of the 2/4? I bow to your knowledge of the Interceptor, but pictures are hard to come by! And yes, I was born early 1950! Car Model: 9-3 TiD CV, 9-5 Aero Est. No longer mine, and it's a '72, but they started selling them in when I was born, and I would have loved an early one, but you try finding a 914 in the UK and then reducing your potential purchase options to the first year of manufacture, and you'll understand why I 'settled' for a later car! I remember back in the mid 90s when I used to work regularly down at Exeter airport there was a place selling US imported 356s for about 7K ! This was also the era you could pick up a German imported 911 for around 7-8K. Sadly those days are gone ! And I was offered an MOT'd 911 targa for £4500 once, but simply couldn't be bothered! 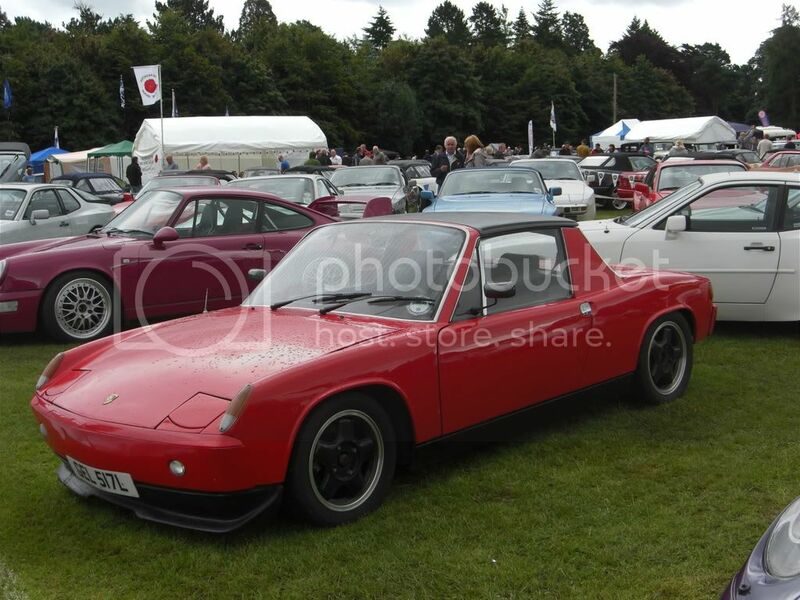 The 914 did me the rare service of providing 12 years of fun, taught me to MIG weld, change a clutch and numerous other tasks, and then paid me back about three-times my total spend over the 12 years when I sold it. Simple is right though - I couldn't believe how many pieces the GT6 on Car SOS was in - I'm sure the 914 was made using about a quarter the parts. Yes quite right Pete I was thinking of the 2/4, thought the side vent and square front grilles did not look right BTW the Jupiter shown is a 1A model (1953), a little more power and an opening boot. I like to think I know a little about 1950s Jensens, but there is always someone who knows more.